Most of us have fond memories of a family camping trip from our childhood. This summer families all over the country are loading up their vehicles for a family camping adventure. In fact, family camping vacations are some of the most popular in America. 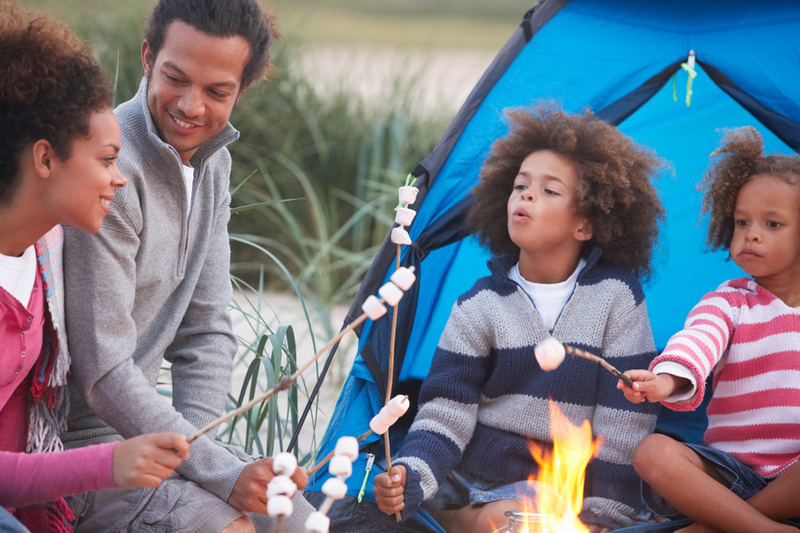 In 2011, families spent nearly 540 million days camping! Most choose tent camping over cabin camping but either way, it’s a lot of fun. The United States has 58 national parks. The National Park Service (http://www.nps.gov/) makes it easy to find a park for just about every taste and activity. All of the parks in the system offer great opportunities for hikers — a recent survey showed nearly 92 percent of campers like to hike! But many offer opportunities to kayak, fish swim or just sit back and enjoy the stars. Finding a campground is pretty easy, too. USA Campgrounds lists 13,000 public campgrounds in the U.S. and Canada. Seeing as about 70 percent of campers pick public campgrounds, it’s nice to have a resource like that. (http://www.uscampgrounds.info). Go Camping America (http://www.gocampingamerica.com) offers links to find different kinds of campgrounds so if your family isn’t so excited about tent camping, you can find a cabin rental or RV spot. One of the reasons camping is so popular is its versatility. And there’s the economic value, even a cabin will be less expensive than a hotel. Tent camping can be more luxurious than it sounds. Tents today can be equipped with all sorts of comforts and amenities and can be as big (or small) as your family needs. If you use an air mattress under your sleeping bag, you’ll feel like you’re at home. Camping provides a unique way for families to learn about the country and reconnect with nature and each other. The quality time spent getting to the campground and engaging physical activities together makes memories that will last a lifetime and builds bonds the way no other vacation can. My family goes canoeing each summer in northern Minnesota. In the winter, some like to rent a yurt and go skiing in Colorado. No matter what you and your family like to do, you can be sure you’ll find something everyone will enjoy on a camping vacation.